Bundesbank’s President Jens Weidmann was questioned for the first time by the press on the future of the euro. 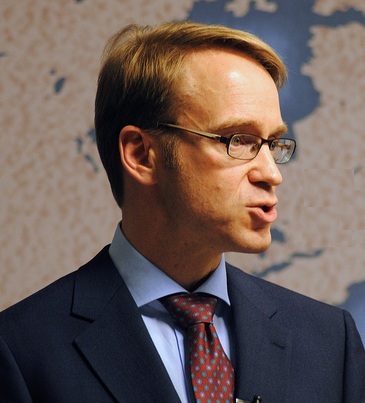 Weidmann renewed his criticism of the rescue policy of the European Central Bank (ECB). The announcement by ECB President Mario Draghi to purchase unlimited government bonds to stabilize the euro, Weidmann views that this threatens the very existence of the euro. He suggested that if the current policy of the ECB to inject euro weakness, it is the opinion of the Bundesbank with the euro will no longer be a viable currency. Yet the bad loans among EU banks are the giant European crisis waiting to explode.It is being reported as 720 billion Euro more than the check Congress wrote to the New York bankers. The total expected credit losses are simply massive and this is why the ECB wants to seize assets of depositors. Any bailout of the banks at the national level is impossible under the political landscape with too many divergent interests. The IMF warns Cyprus that capital controls should not be relaxed. The government in Cyprus is apparently under tremendous pressure to lift the capital controls again. The restrictions affect the daily lives significantly of everyone. However, the IMF now warns that for Cyprus to meet the requirements of the Troika, it must maintain the restrictions on the money in circulation or there is acute danger of a crash. This is what happens when you just take depositor’s money. Politicians are predominantly lawyers who know how to write laws, but foolishly think they can dictate to human nature. Southerners: The next generation will have a much worse life in Southern Europe, for the euro has proven to be an unsustainable project. Pools show the youth expect for the future to be anything but secure, that the high taxes result in poorly paid jobs with long working hours, and they expect to be much poorer with poorer lives than their parents.